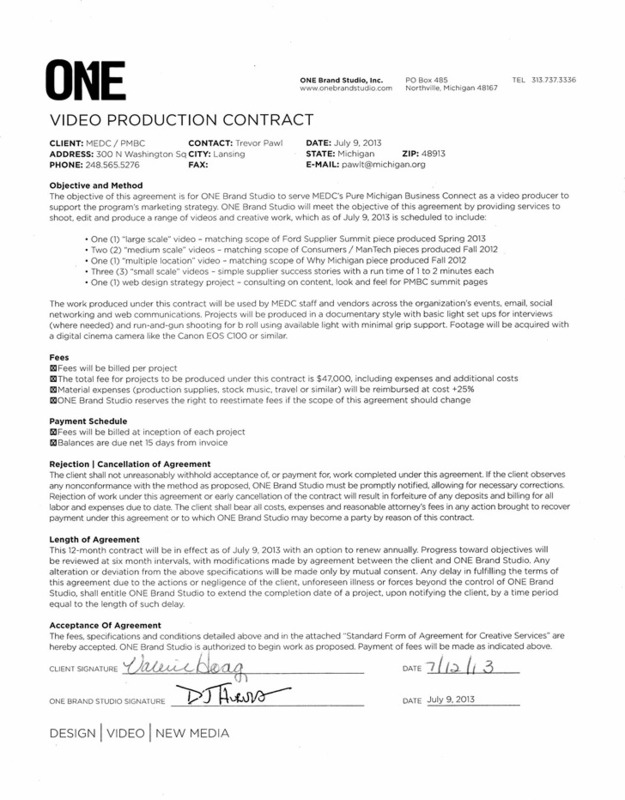 Video Production Contract can be used when a producer or production company is commissioned to produce a video program for purposes such as promotion, education or instruction. 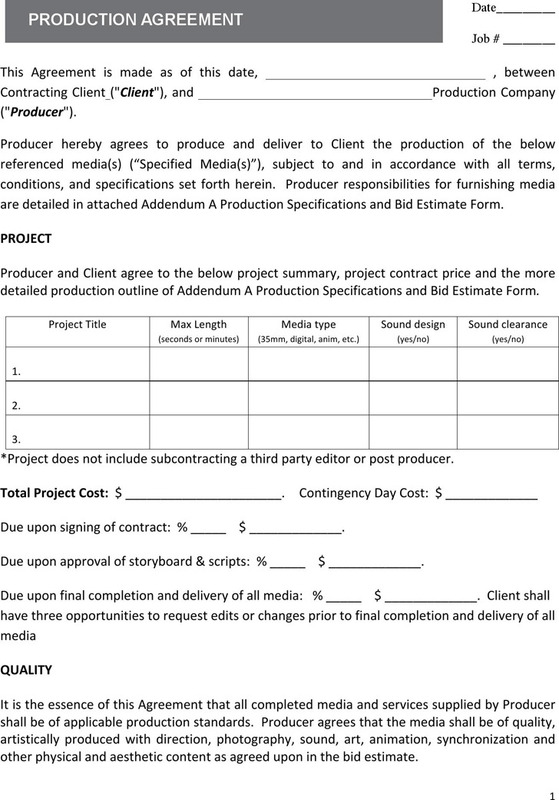 The contract is usually made between a producer and a client. Before signing the contract, the two parties should carefully consider all aspects of the agreement. Our website provides you with some video production contract templates, such as Sample Video Production Contract and Standard Video Production Contract.